We are open! Learn how to create a wonderful waiter clipart ready to serve clients and make your journey on this site a perfect one. This job is not an easy one! A waiter is constantly running around (at least when it's dinnertime!) and must also deal with happy customers ... and difficult ones! Yes, I do admire these men and women who are doing a tough job like this one. 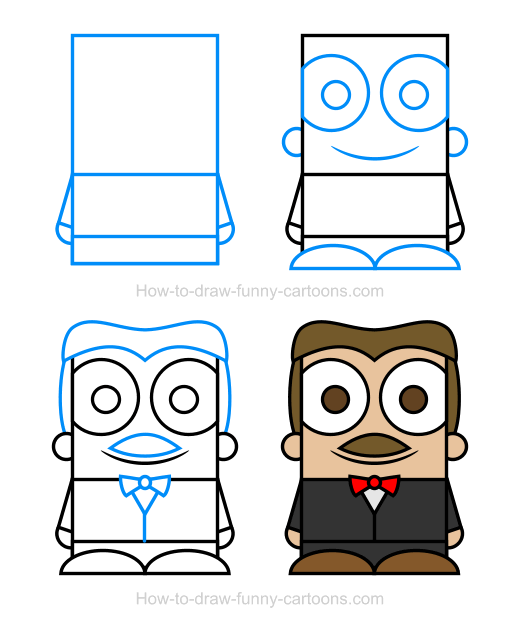 Let's pay tribute to all these wonderful people by drawing a simple cartoon waiter using basic shapes and elements like rectangles, squares and circles. 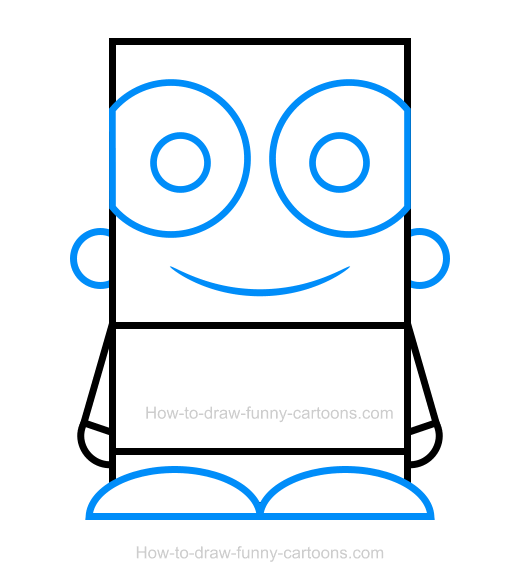 I will show you how to create this character in just four easy steps. Ready? Let's draw! Inside the head, draw two large circles to form the eyes. The pupils are also made from large circles. The mouth is represented by a medium curved line while the ears are also made from circles. 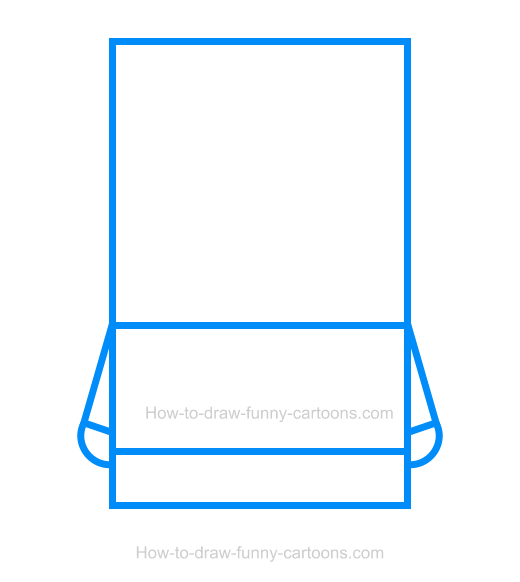 Finally, work on the shoes of the waiter by drawing straight and curved lines. So far, we have a pretty standard cartoon character. Let's add some elements to turn this image into a cartoon waiter. On top of the head, draw some lines to illustrate the hair of the character. Make sure you are drawing a shape similar to the one found below (or simply draw your own shape if you prefer). Then, add a curved line on both sides of the head to complete the hair. Above the mouth, add a moustache using an oval shape with pointed ends. 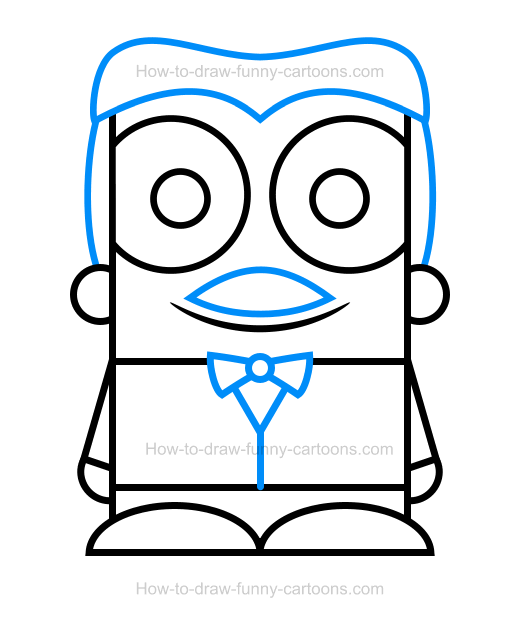 A bow tie is drawn on the shirt. You can also draw a small triangle and a long line below the tie to complete this step. It's time to add colors! 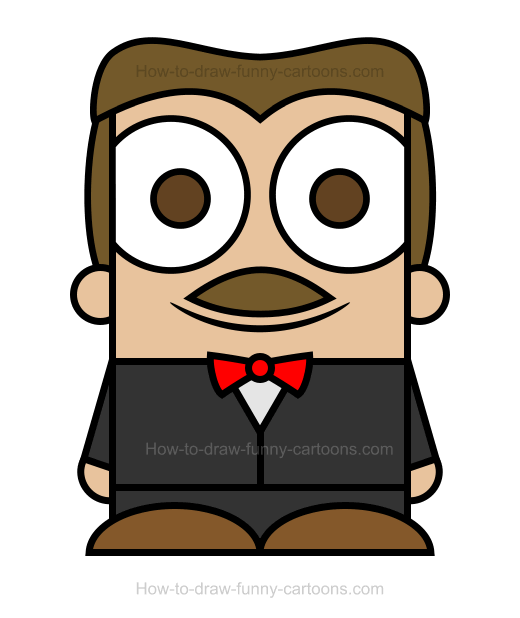 The hair, the pupils, the moustache and the shoes of the waiter are filled with a dark brown color. The suit is grey (well, almost black) and the bow tie is red. All outlines are dark or simply black. Good job! We are already done with this lesson! This waiter clipart is visually quite adorable!